After spending 30 of the past 55 weeks in Fukushima, Japan, living in places contaminated by nuclear fallout, visiting even more highly contaminated places, drinking the water and eating the food, we finally got an answer to the question we are most often asked about the making of our documentary Uncanny Terrain: just how contaminated had we, ourselves, become? Just before the end of our latest Fukushima adventure, the Fukushima City NGO Citizens Radioactivity Measuring Station managed to squeeze us in during an unusual lull in the stream of locals waiting to get their bodies checked for radiation. 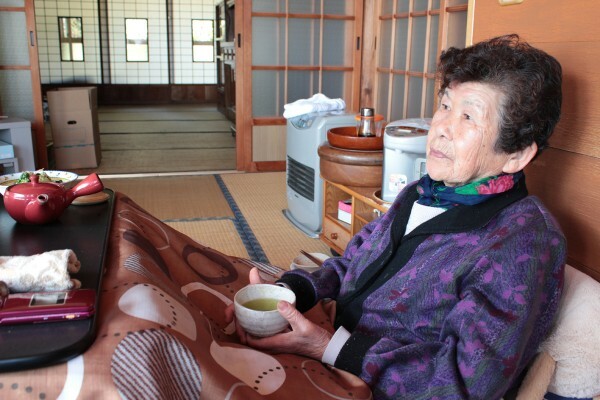 First we watched a group of local ladies receive CRMS’s mix of examination and counseling, and heard their tearful stories of separation from their evacuated grandchildren and other stresses of life in the shadow of the nuclear meltdown. Then it was our turn. One at a time, we changed into standard-issue robes and sat in sensor-equipped chairs built for the Chernobyl disaster, to have our bodies scanned for Cesium-137 and -134, the two most plentiful radionuclides released by the earthquake- and tsunami-triggered explosions at the Fukushima Daiichi Nuclear Power Plant in March, 2011. (Iodine-131, blamed for a rise in thyroid cancers after the Chernobyl meltdown, has a half-life of only eight days, and is not now a significant presence). The results: Junko showed 462 Becquerels of Cs-137 with a margin of error of 185 Bq, and no detected Cs-134, with a margin of error of 159 Bq. As for me, with margins of 238 and 204 Becquerels respectively, I showed “not detected” for either radionuclide. These results were puzzling for a few reasons. 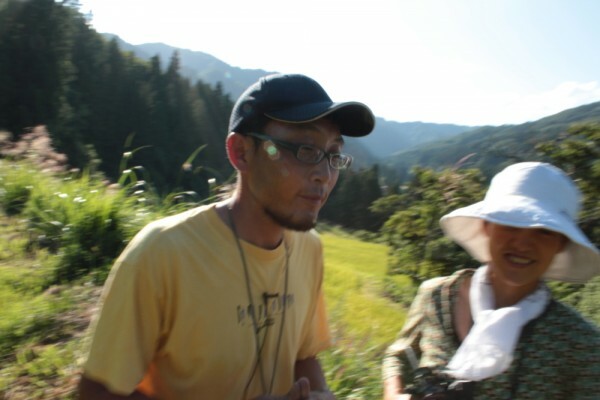 Junko and I were together constantly during our time in Fukushima, eating the same food, generally considered the main source of exposure. So why were her results higher than mine? Was it simply my greater size and correspondingly higher margin of error? Or that she went hiking each morning? Or that, like many Japanese, she could not resist wild vegetables although they are a known contamination source? 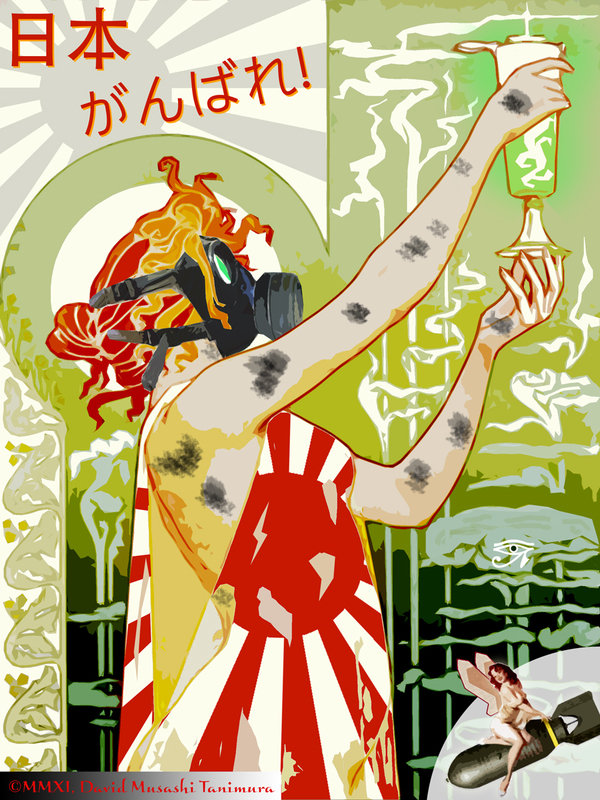 And why did Junko test positive for Cs-137 and not Cs-134? Equal amounts of the two were released by the meltdown. With a half-life of two years, Cs-134 should now be present at about 70% of the level of Cs-137, which has a half-life of 30 years. By comparison, the cattle rancher Masami Yoshizawa, who has defied the government and kept his cows alive 14 km from the nuclear plant, last July tested at 7,000 Becquerels total. 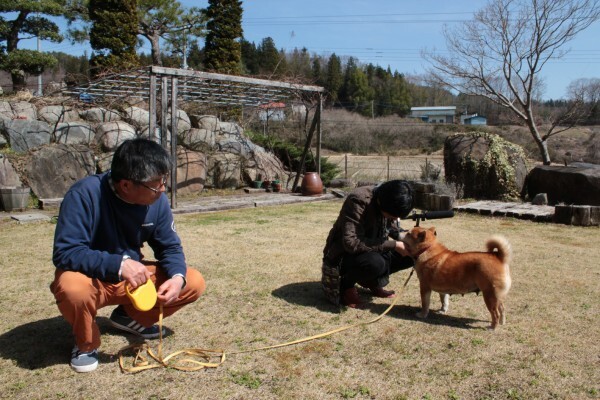 This spring, a second test showed his contamination had dropped by 90% to about 700 Becquerels, just 50% more than Junko, though he’s been living in the nuclear exclusion zone for much of the past year, working in the contaminated pasture with no protection. As we’ve experienced throughout the production of Uncanny Terrain, it seems that the more we learn, the less we realize we really know. For reasons I still don’t entirely understand, CRMS consultant and University of Tokyo physicist Ryu Hayano says that in the not uncommon case that a subject tests positive for Cs-137 but not Cs-134, the results should be considered not detected overall. The Whole Body Counters were designed for the much higher levels of contamination commonly experienced after the Chernobyl disaster, and may not be sensitive enough to properly measure the comparatively lower levels caused by the Fukushima crisis. But even taking the numbers at face value, how great a health concern is it to have 462 Becquerels of Cs-137 in your body? It depends on whom you ask. Reading the same data, different scientists offer opposite interpretations of the health risk of low-level, long-term radiation exposure. CRMS co-founder Ayu Marumori told us that after the crisis, she consulted with a number of doctors about the danger posed by the nuclear fallout. The doctors would all answer with certainty, some saying the radiation was harmless, others that it was certain to be deadly. It was only when she found a doctor who confessed that he wasn’t sure, that Marumori felt she had found a prognosis she could trust. The data are plentiful from Chernobyl, Hiroshima, Nagasaki, the Manhattan Project, and other cases of exposure from nuclear weapons testing. But the interpretation is so politicized that the conclusions one draws tend to be ideologically rather than empirically driven. Still Marumori and CRMS continue their work, providing people with data of admittedly limited value until the testing technology can be refined. In such a vacuum of understanding, a little bit of knowledge is precious—at least so the thinking goes. More importantly, they encourage their clients to be conscious about how their lifestyle impacts their health, and to take available steps to minimize their exposure. 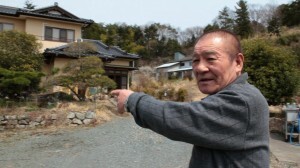 Medical statistician Yasuo Ohashi, who founded a mobile clinic in eastern Fukushima, predicts that the biggest health consequence of the nuclear disaster will be from the rise in diabetes cases, brought on by the inactivity of people living in shelters, staying indoors, eating more processed foods, and the stress of evacuation and fear. 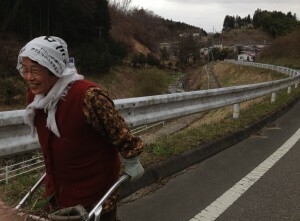 This is how life is for the vast majority of people in Fukushima who have been unable or unwilling to evacuate. They go about their days, always under a cloud of uncertainty about what risks they face from their air, water and food. This is true to some extent wherever we live. 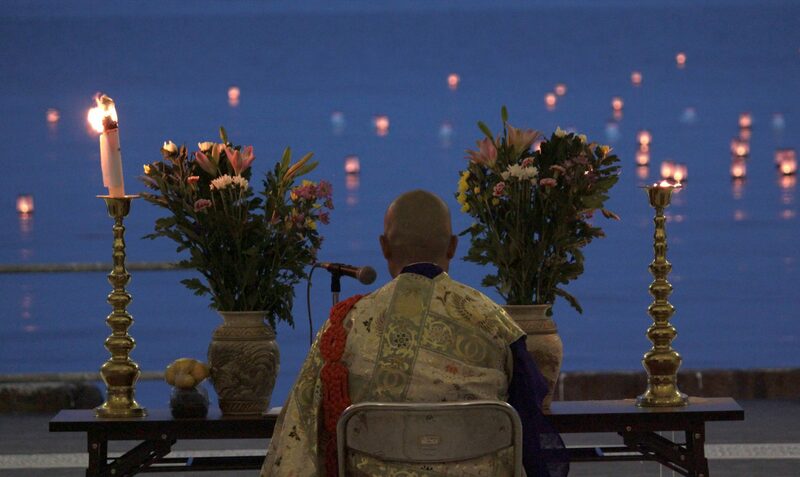 But in Fukushima the knowledge of this uncertainty is palpable, ever-present, a fact of life for the foreseeable future. Ishii used to deliver food to Japanese restaurants in Maryland. For years he studied EM (effective microogranisms) as a hobby. 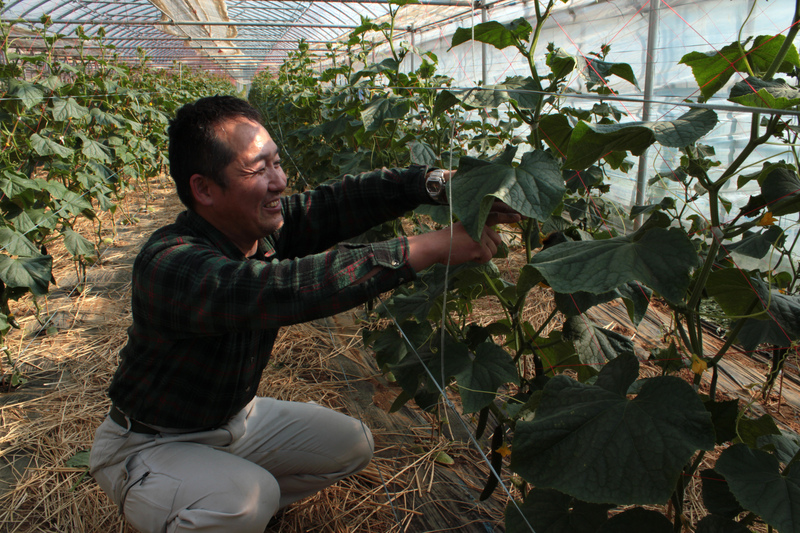 Now he grows organic vegetables in Sukagawa, 60 km southwest of the Fukushima Daiichi Nuclear Power Plant. 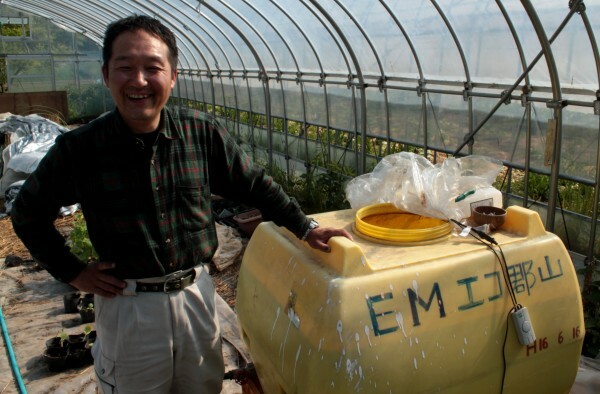 He believes the EM prevents his crops from absorbing radioactive cesium—they have tested “ND”: no detectible radiation. We were prepared to talk our way past a police checkpoint—or play dumb, in my case. But we drove right over the border unaccosted. 13 months after the tsunami, the fields remain strewn with twisted cars and the insides of ravaged houses. Cracked and roofless buildings stand untouched since the earthquake. 12 km up the Pacific coast from the still-smoldering Fukushima Daiichi Nuclear Power Plant, Minami-Soma was cleaved in two. The north side of the city remains populated, while the south end was abandoned to the nuclear exclusion zone. That is, until April 16, when, for the first time, evacuees were allowed to return home without a special permit, though they still can’t spend the night. The Nemotos had an organic farm here for 12 years, spreading sustainable practices to their neighbors. Mrs. Nemoto lost cousins in the tsunami. 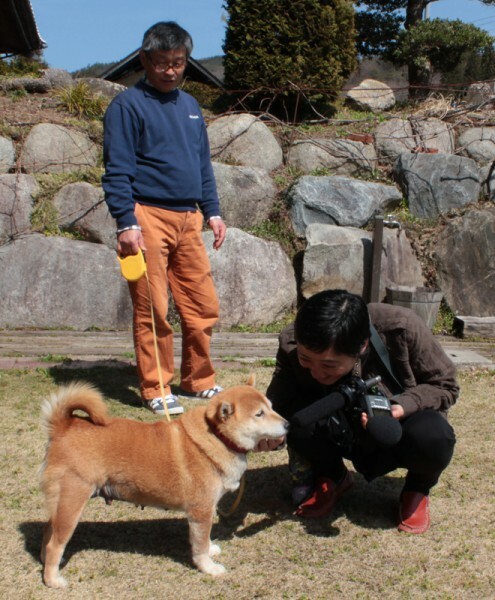 They evacuated first to Fukushima City, where radiation is twice as high as it is here, and later to adjacent Soma, where they live with their son’s family. The trauma of relocation has left their teenage granddaughter suffering sleepwalking and seizures. 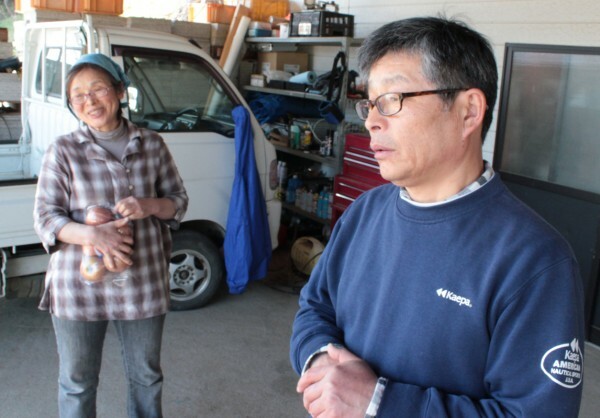 Koichi Nemoto is determined to resume farming his evacuated land. 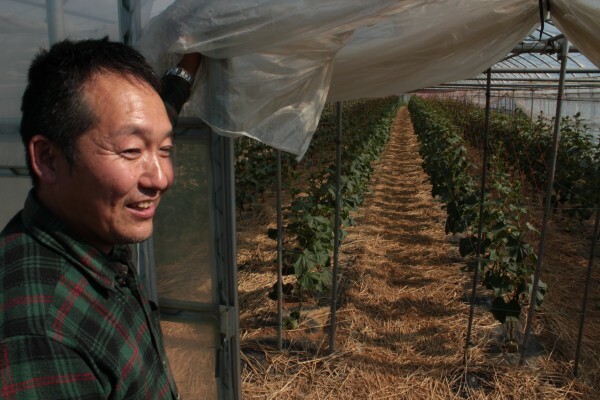 He’s working with a team of researchers to test various experimental methods of preventing crops from absorbing radioactive cesium. He can grow anything, he says proudly. It’s the complete opposite for their next-door neighbors, also named Nemoto (the name of the neighborhood, too). The neighbor Nemotos have no desire to move back, they tell us as they revisit their abandoned home, and they consider cultivating their fields a lost cause. They just want the government, or the power company, anybody, to buy their property, so they can move on. 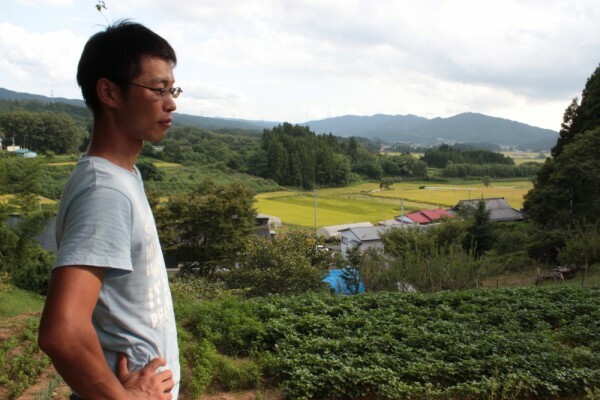 If you were a Fukushima farmer, would you stay? This was just one of the provocative questions students asked us, often in eloquent English, after we screened preview footage of our documentary Uncanny Terrain at Junko’s high school alma mater Inakita in Nagano in central Japan. I answered that in the U.S., it’s relatively easy for us to pick up and go at the first sign of crisis or opportunity. I’m a proud Chicagoan, sure, but the sense of identification the people in Fukushima feel for the land is on a whole other level. One of my personal goals for this project is to better understand that sense of attachment. I only learned later when she translated her answer for me that Junko said she would probably stay. What makes a person decide whether to move on or stick out a disaster whose repercussions won’t be fully understood for decades? How can these two families of Nemotos, living side by side, have such contradictory responses to the disaster? Among the dozens of farmers we’ve met in the past year, we have seen a particular commitment by organic growers to stay and cultivate. This is counterintuitive on its face. These farmers, who have worked hardest to keep their crops free of contamination, are now the most perseverant in the face of the most insidious contamination they’ve ever encountered. But on another level it makes perfect sense. The commitment they have made to protect and perfect their land is not something they can walk away from, no matter the odds. Please make a tax-deductible contribution to help us cover the cost of capturing and sharing this unfolding story. And please spread the word. Thank you! Hiroaki Yoshida had his rice tested at several labs. None of it showed any detectible radiation. Despite testing clean, Yoshida struggles to find new customers for rice grown on the southern outskirts of Fukushima. To fight a dropoff in sales, Yuko and Hiroaki Yoshida bring their rice and mochi into Tokyo every weekend for the Aoyama Farmers Market. Grandma Yoshida says anything you eat could be radioactive, but you still have to eat. 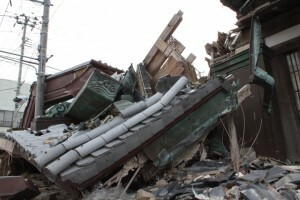 Please join our IndieGoGo campaign to help Uncanny Terrain return to Fukushima. 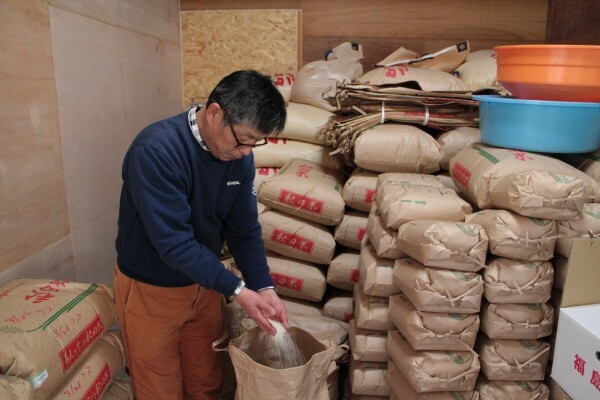 Fukushima farmers’ rice harvest sits in stockpiles, mostly unsold after radioactive cesium was detected in samples in and outside of the prefecture. 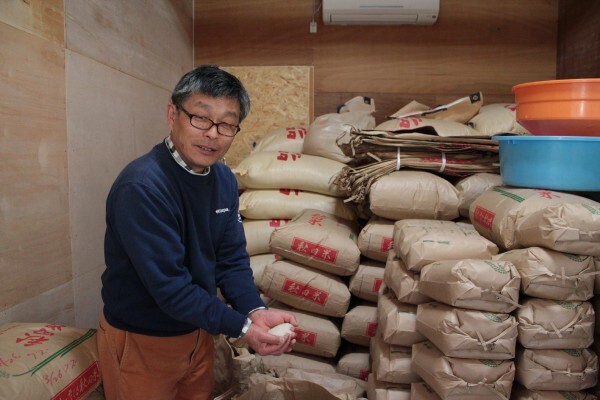 Unable to sell their rice, Fukushima organic farmers have become educators, promoting understanding among their customers about the interconnections of land use, energy consumption, and traditional culture. Despite staggering odds, most of the farmers remain committed to preserving and recovering their land for future generations. We return to Fukushima this March to capture the recovery efforts a year after the 3/11 tsunami, earthquake and nuclear disaster. To support this endeavor, nonprofit arts support organization High Concept Laboratories presents Fukushima: 1 Year After the Meltdown, a benefit reception for Uncanny Terrain, Sunday, Feb. 5, 5-8 p.m. at 1401 W. Wabansia in Chicago. From 6-7 p.m. we’ll screen a preview video with live accompaniment by our composer Tatsu Aoki and his band The MIYUMI Project, which performs a fusion of jazz and Japanese classical music. Tatsu is a jazz bassist and a leader of the Chicago Asian American Jazz Festival and Tsukasa Taiko Legacy. 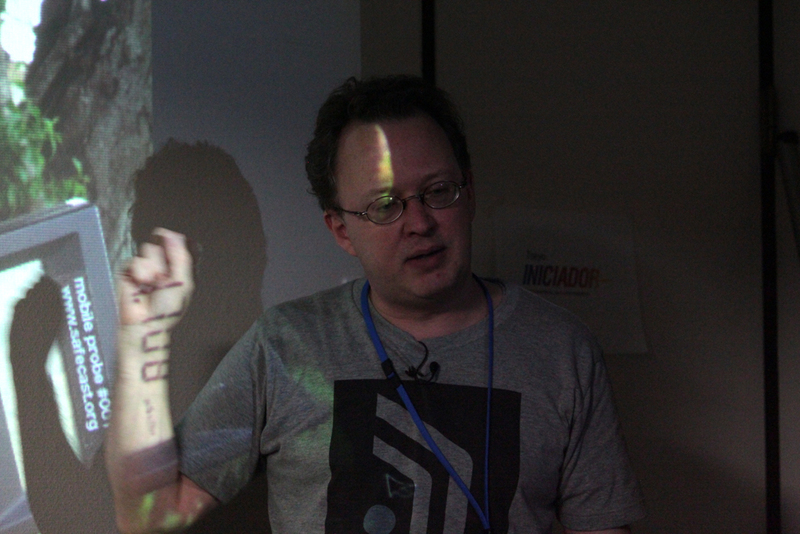 David Tanimura will showcase his digital collages inspired by the nuclear crisis. Refreshments will be served. The reception is free but rsvp is required, and tax-deductible donations to the film are welcome. Not in Chicago? Can’t make it? Want to help today? We continue to gratefully accept online tax-deductible donations in support of Uncanny Terrain. 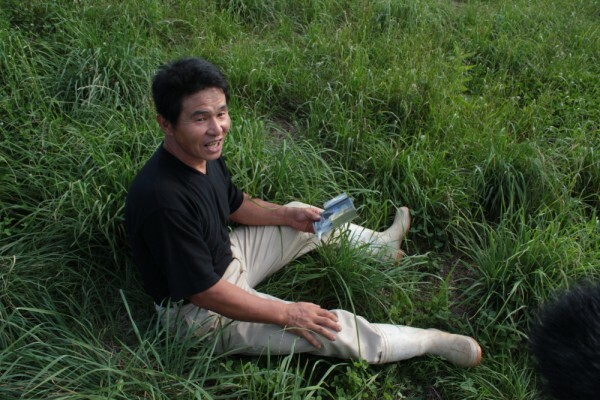 Sugeno relaxes in the grass beside his radish field, Geiger counter in hand. 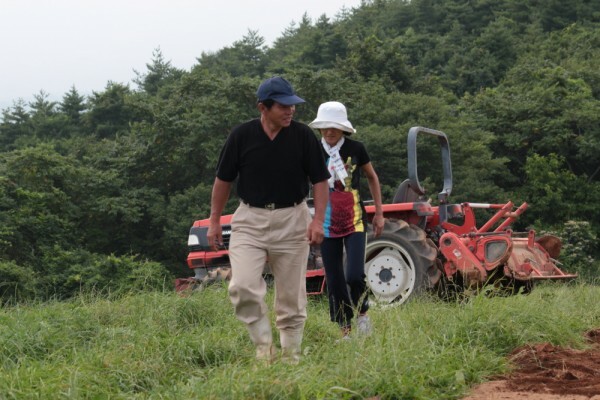 Junko and Sugeno finish planting radishes in his mountaintop field in Nihonmatsu. Guests at Sugeno's farm enjoy flowers transplanted from the evacuation zone. Asami looks out on his rice field in the mountains of Kitakata. Asami shows Junko his favorite vantage point. Asami and his intern Ota in the chicken coop. 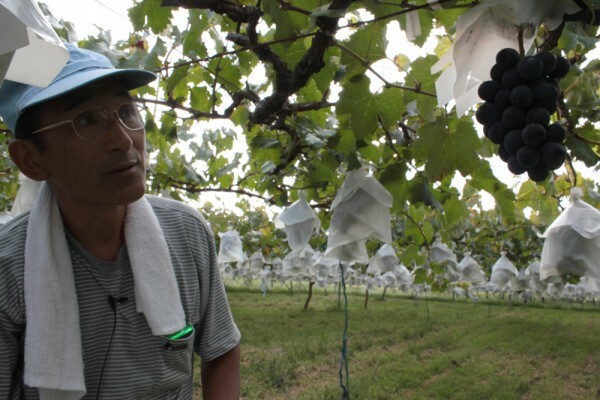 Watanabe's fruit is showing undetectable radiation levels despite surrounding contamination in Fukushima City. 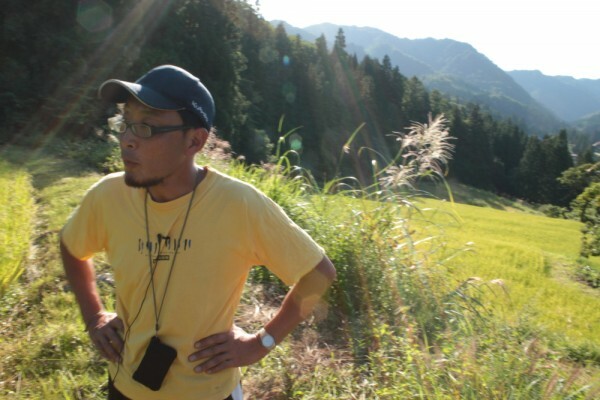 Masanori Yoshida looks out on his ancestral land, foreseeing big changes ahead. 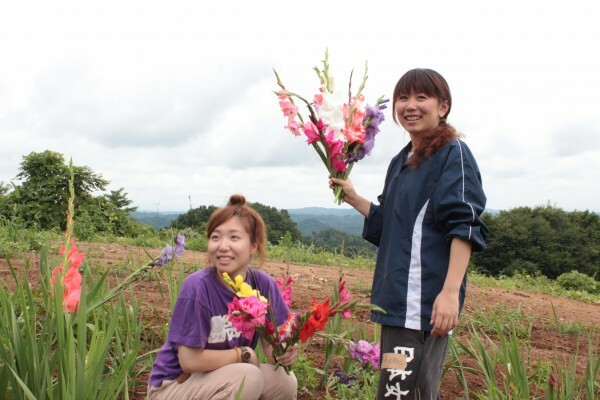 Yumi and Masanori Yoshida care for their vegetable garden. 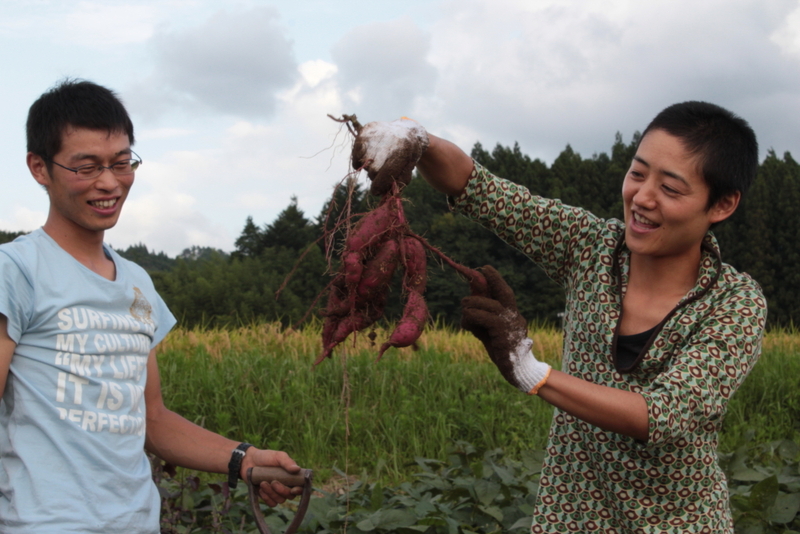 Yumi Yoshida displays her sweet potatoes. Junko digs up a choice bunch of sweet potatoes. The Yoshidas have been eating a lot of sweet potatoes. Sales of the bumper crop have been slow. At Tokyo Hacker Space on 6/24/11, members of the NGO Safecast present the goals, methods, and results of their ongoing volunteer project to independently measure and map contamination levels from the Fukushima Daiichi Nuclear Power Plant fallout at hundreds of thousands of sites across Japan. 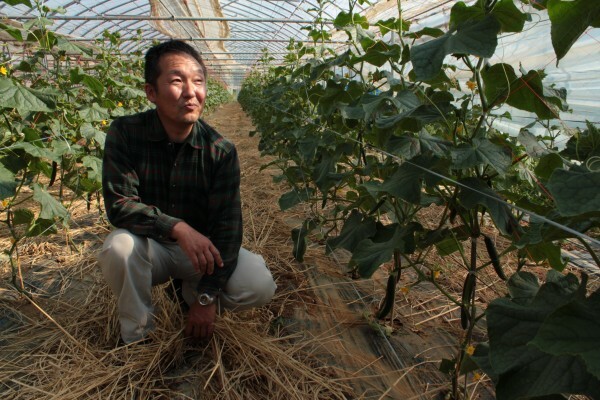 Uncanny Terrain is a documentary about organic farmers facing Japan’s nuclear crisis, and an international online community fostering dialogue on food safety, sustainable agriculture, alternative energy and disaster response. Please keep the conversation going by making a tax-deductible donation.